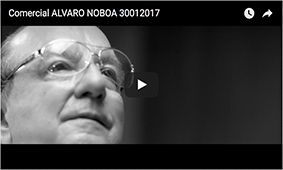 Last Friday, January 30, the Ecuadorian national newspaper, El Universo, made a publication on the award of the First International Biennial of Photography Alvaro Noboa, organized by the Luis Noboa Naranjo Museum in Guayaquil. The newspaper covered the awards ceremony, held last Wednesday, February 28th. In its note of the contest, the winners were named: the Spanish Begoña Lozano, who won the first place, the Cuban Harold Ferrer, the second plsce and the Ecuadorian Edison Ruilova, the third. The note includes other details such as the awards and the number of countries participating in this event. Furthermore, it was also recalled that the 200 photographs that participated in the contest will be exhibited at the museum until next February 28th.